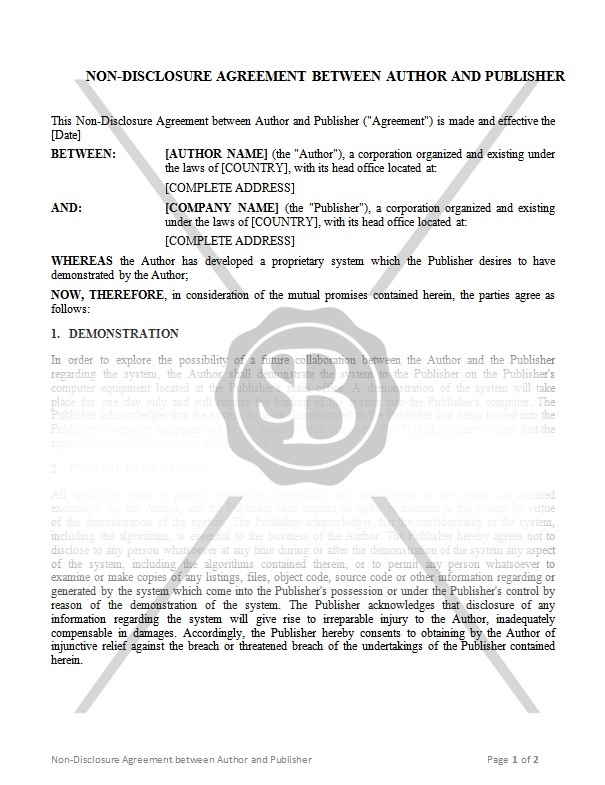 This Agreement is concluded between the Author and the Publisher. The Author has developed a proprietary system which the Publisher desires to have demonstrated by the Author. This Agreement sets out terms and conditions of the demonstration with relation to property rights and confidentiality.